The planning committee met October 25 to debrief the reunion weekend and to find ways to extend the great energy felt in September. People loved the casual start at the American Legion so the committee agreed to make it our annual location. Please post your favorite photos to the website for all to see. Add highlights from the reunion to the comments section. Continue to seek unfound class members and encourage them to set up a profile on our secure website. Update your own profile with information you would like to share. What a whirlwind weekend that was! It was special beyond words. Old friends were reunited, former classmates became new friends and departed classmates were remembered fondly. It was a time of soulful reminiscing and laughter! 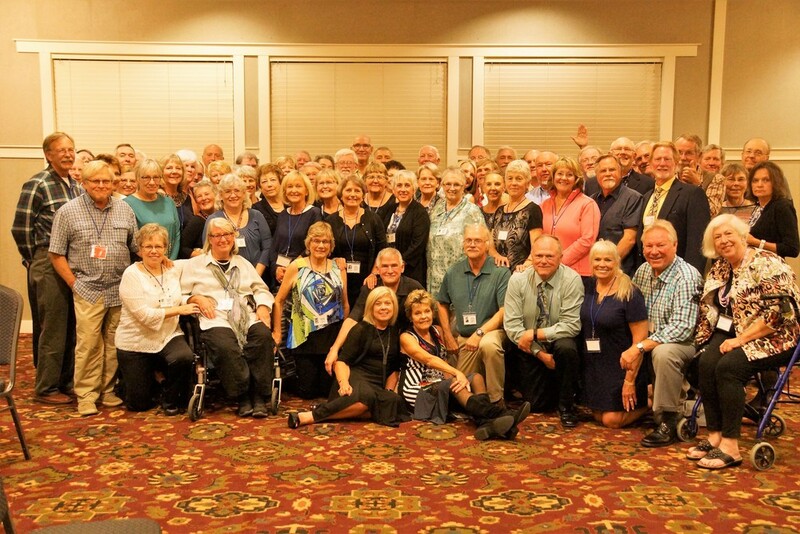 · Pictures are rolling into the 50th Reunion Photo Gallery. Keep 'em coming! If you'd like to contribute your photos, just scroll down the list (on the left) and click on "50th Reunion Gallery." When the photo page pops up, scroll down to the bottom, click on "add/edit photos" and follow instructions. Please add captions to the photos you upload. The more the merrier! · If you are already registered, please keep us updated on any changes in your status. Looking forward to the next reunion. It was great seeing you. We'll keep you posted!